We came into existence in the year 2008 and since then we have been working benevolently on fibre glass products. Our company is a renowned entity in this industry best known as one of the leading manufacturers of FRP composite products in India. Today, FRP (Fibre Reinforced Plastic) or GRP is gaining popularity as the next generation technology and has replaced materials like CI, DI, Concrete, PVC, MS, etc due to its far superior properties. The company was the result of the efforts of two pioneers who have more than 50 years of experience in this FRP technology. 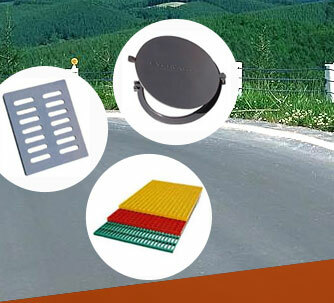 Our product portfolio includes FRP Moulded Gratings, FRP Manhole Covers & Frames, FRP or GRP Pultruded Sections, etc. Unlike other manufacturers present in market, we are recognized as an ISO 9001:2008 certified company with our all products approved by the Municipal Corporation of Greater Mumbai (MCGM), Military Engineering Services (MES), Bhabha Atomic Research Centre (BARC  Dept. of Atomic Energy), Mahanagar Telephone Nigam Ltd. (MTNL), CIDCO (City Industrial Development Corporation of Maharashtra), NMMC (Navi Mumbai Municipal Corporation) and other reputed institutions and government bodies. We are quite famous among our clients for accomplishing bulk orders of FRP products in stipulated time period and for this, we have established a 25,000 sq. ft. of sprawling manufacturing unit on the outskirts of Mumbai & Aurangabad. At our unit, we have adopted a very stringent quality control measure for our range so that our clients get an excellent range of FRP composite products. The entire production procedure is carried out under the supervision of senior professionals who have immense knowledge in this sector. To ensure the quality of our entire stock, the products are subjected to a strict quality test that checks each and every item on various parameters. Till now, we have supplied large number of FRP products to many clients from several nations including Africa. FRP is widely used for manufacturing Manhole Covers, Gratings, Pultruded Sections, Doors, Window Shades, Cabins and SBS Toilets. If possible, bore opening must be designed after consideration of standard clear opening sizes available. Standard covers are designed for installation on flat road/foot path surface; kindly ensure the same before installation. Fibre reinforced plastic (FRP) is the next generation polymer made of a polymer matrix reinforced with fibres. These polymers are considered to be the strongest one and most resistive to deforming forces. 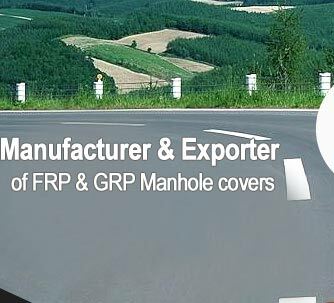 With the advancements, FRP has totally replaced traditional materials like RCC, CI and steel for manufacturing manhole covers, gratings, doors, window shades and security cabins. Field Fabrication Can be fabricated on site using simple carpenter tools. Erection easy due to light weight Needs specialized cutting and welding equipment and skilled labor Heavier material requires special lifting equipments to manage. Its been long since we are manufacturing and supplying FRP composite products in market. We have all the expertise to accomplish bulk orders for FRP products in stipulated time period. 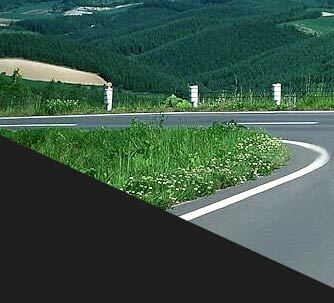 As a certified FRP composite product manufacturer, our high standard quality range has resulted in wide range of renowned clients across India as well as overseas markets. Our prime focus has always been to meet the requirements and demands of our esteemed clients. The main asset of our company is our cherished and contended clientele. We do not believe in marketing and promotions, our prime source of advertisement is our clients who always recommend our company in market for our excellent range of products. Being a quality conscious company, we make sure that all the fabrication work is done with high grade and fine quality material. Till now, we have served numerous renowned clients with our excellent range of FRP products. And the list is increasing day by day with the up-gradation and innovations in our stock of FRP composite products. We have all the in-house facilities for manufacturing a supreme quality range of FRP composite products. Compression moulding process is generally used to manufacture these FRP products in which we use glass fibre woven cloth that is embedded with modified resin. We make sure that the content of Glass fibre in the manufacturing of these products does not exceed above 50%. In our products, the top most layer of the FRP cover is specially fabricated from certified quality of quartz & corundum that adds to the wear resistance of surface.